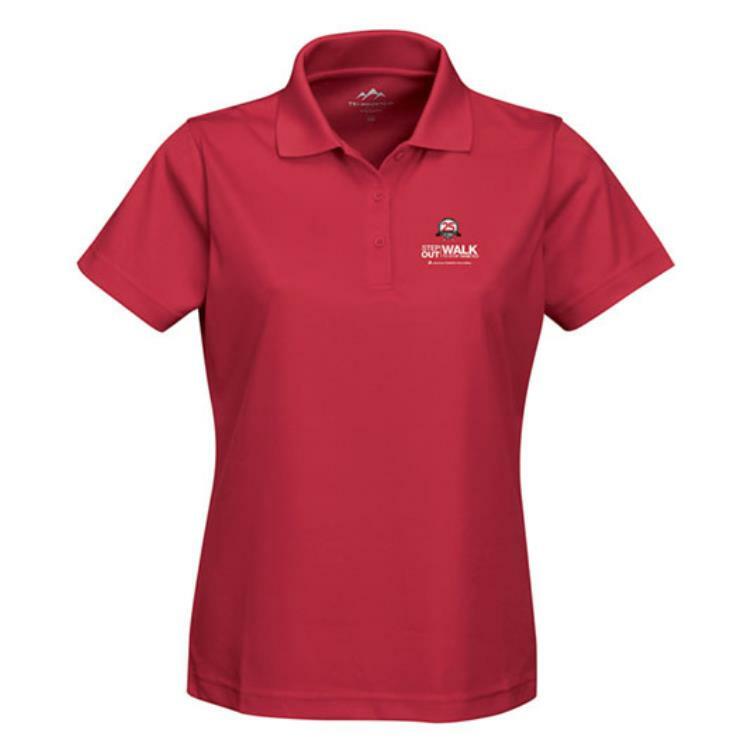 100% polyester mini-pique polo featuring UltraCool moisture-wicking technology, peak performers, easy-care, tagless, safety wear. Accented with a three-button placket, rib collar, open cuffs and square bottom with side vents. 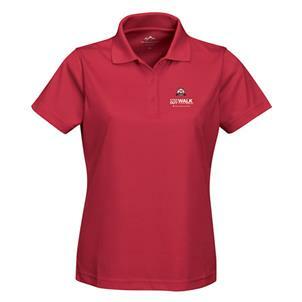 100% polyester mini-pique polo featuring UltraCool moisture-wicking technology, peak performers, easy-care, tagless, safety wear. Accented with a three-button placket, rib collar, open cuffs and square bottom with side vents. Imprinted with ADA 25 Years Walking Strong Step Out logo.